Train to Roots is one of the best Italian roots reggae bands. In 2006 the band won the European Reggae Contest. They call themselves the Original Sardinian RootsRockers. At the moment Train to Roots is working on a new album. But that is only one topic of the interview. „Sardinia, quasi come la Jamaika” (Sardinia almost like Jamaica) is written on your myspace site. Could you please explain it? Why have you chosen roots reggae as you favourite style? Paulinho: Because we love those sounds, so grim, raw, natural so few today. We know with the advent of electronics, everything has changed; absolutely we do not disdain the new sounds of reggae music like new roots. Roots music because we like the development path (like the one we’re having). The roots was the beginning of it for the reggae, so naturally we started from it. Stiv Man I: We love everything about roots music and various artists have been important for our musical education: Bob Marley, Peter Tosh, Burning Spear, Steel Pulse, Misty in Roots, The Gladiators. But now our attention is focused on contemporary reggae and some European artist like Seeed, for example, that have a truly innovative approach to the reggae music. In 2006 you won the European Reggae Contest at the Rototom Sunsplash Festival. I assume that your easy Sardinian living was over after that. PapAn’tò: Actually our life changed after the winning of the Rototom contest. Since then we’re engaged in lots of concerts and festivals all over Italy and Europe. This fact gave us the chance to be known by all the Italian reggae massive which follows us in all our concerts. In this year the festival will take place in Spain for the first time, because the Italian authorities made up new anti-drug laws. They have forbidden the festival due to the fact, that people promote and use drugs. Rootsman I: It’s a shame. Rototom Sunsplash is about culture, love and good vibez and not just drugs. Our politicians want to mash up our life style, our freedom, but they never see the worst troubles of our nation like mafia or ignorance. Rototom promotes just a different life style with love and respect to our foundation. The Rototom ban is meaningless, because the can’t forbid us to think with our head. Groover: The problem is not the emergence of new anti-drug laws enacted in our country, which already exist, the problem is that the Italian authorities condemning some events like Rototom, and shows that not accept community with life ideals like peace, love, freedom, brotherhood and unity of peoples. At least they are right about the ganja promotion. Even you have a tune called “Smoke Weeda”. BujuMannu: “Smoke Weeda” is just our anthem for the ganja. We don’t want a world where everyone smokes. We just want the opportunity to grow and smoke freely without have to move from mob. We don’t want to risk losing the license, to pay penalties for the dirty business of those who govern us. What does it mean for the Italian reggae scene, that Rototom will take place elsewhere? Dr Bass: The Rototom Sunsplash for years has been a point of reference for all lovers of reggae music, from Italy and beyond. It is certainly a part of the history of Jamaican music in Europe and for the Italian massive it is a big loss. We only hope that soon another festival is able to fill this void. Maybe it’s our Sardinia Reggae Festival, arrived at the third edition and that will also take place this year at the end of July. You have recorded a new tune called “ Is Not a Crime”. Rootsman I: “Is Not A Crime” is our little contribution to the struggle carried on by the Rototom. 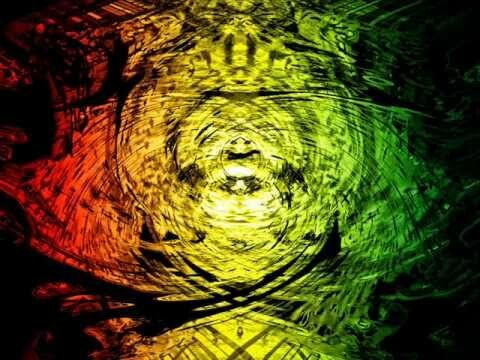 A song that explains our disagreement, anger and bitterness for the loss of one of the most important reggae festivals in the world. Say the Rototom is not a crime to judge. Train to Roots is in the front row against the injustices, always. Beside the new song you are working on a new album at the moment. Rootsman I: The new Train to Roots album will be the result of the search for a sound which is definitely different from the previous work. So, not only roots music. The new album will be fresh and varied with rhythmic. Dancehall, rocksteady and new roots. Hopefully something for all the massive who followed us and so many other people who still don’t know us. As I have heard Train To Roots has a news singer. Who is it? Pap’Antò: The new singer is Rootsman I. He is a Sardinian artist who in the last years has been noted in the Italian reggae scene. His style is harder than the Train to Roots sound in the first album “Terra e Acqua“. The band is currently growing and looks toward new atmosphere and new sounds and we think that Rootsman I will complete our research in terms of styling. On you last album “Terra e Acqua” you have had famous guests like Ranking Joe and Sergent Garcia. Who will be on the next? BujuMannu: At the moment we not still thinking about featurings. We are focused on writing the songs for an album to prove our capabilities, our growth. When the new album will be almost complete, then we’ll think about featurings. Check out an exclusive 1977 video of Noel ‚King Sporty‘ Williams performing in Miami, FL. If you like it, feel free to share it on your blog site!